begin shopping! 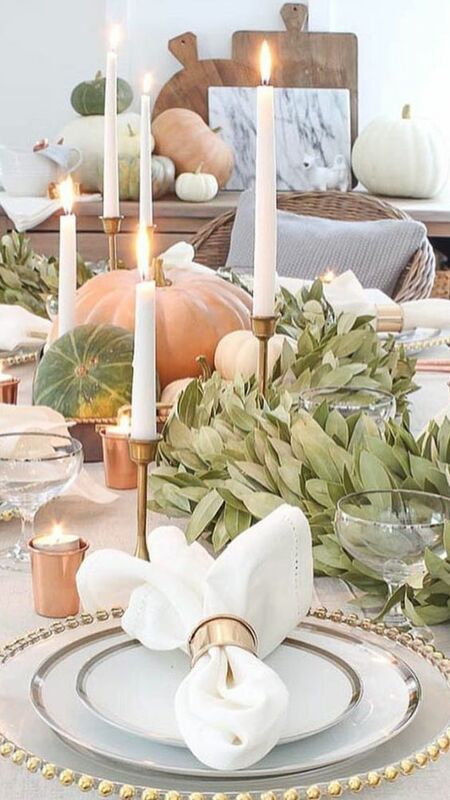 But for today's post I wanted to share some of my favorite fall tablescape ideas straight from Pinterest. What did we ever do without Pinterest? 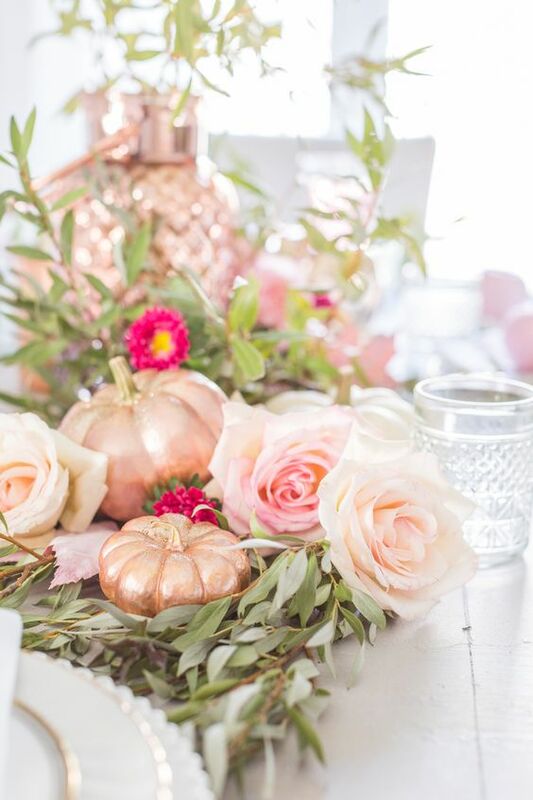 When it comes to tablescape decor, details are essential to me, so I like to fill my dining room table with pretty textures and metallics. And since I am a budgetnista (I totally just made that up! ), I like to shop smart and save money everywhere I can. Which is why I stick to stores that give me the most for my money. My first stop when decorating my home is always Home Goods. Whether I am decorating the kid's bedrooms, my living room, bathrooms or changing it up for holidays - Home Goods is my #1 home decor store. So if you are on a budget like me, my first suggestion would be to stop here. I always go on Pinterest for inspiration but I still like to give every room in my home my own touch and style. So first things first; gather ideas and pin away! 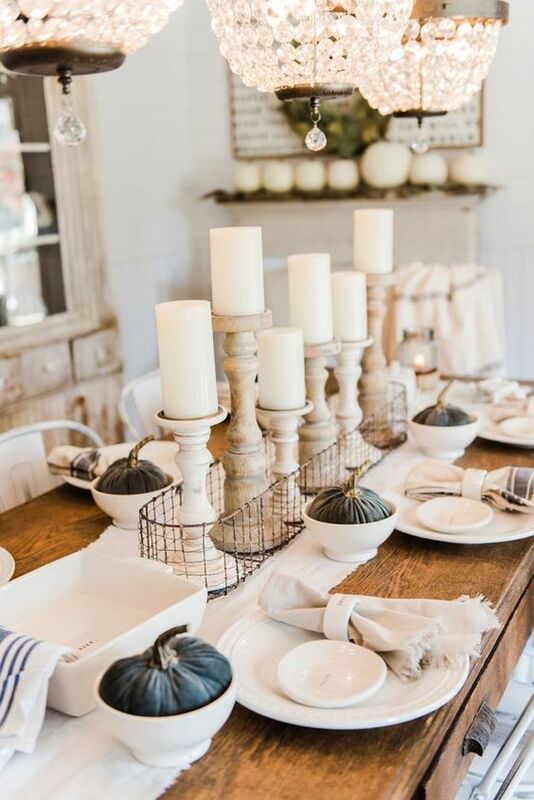 Find out what your tablescape style is, choose a color scheme... and start pinning! 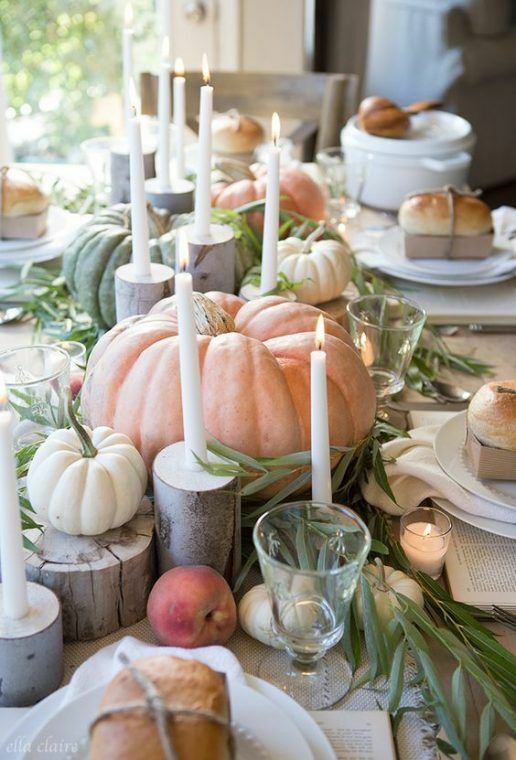 Since we are speaking of autumn for this one, think pumpkins, Thanksgiving... you get the idea. My style? 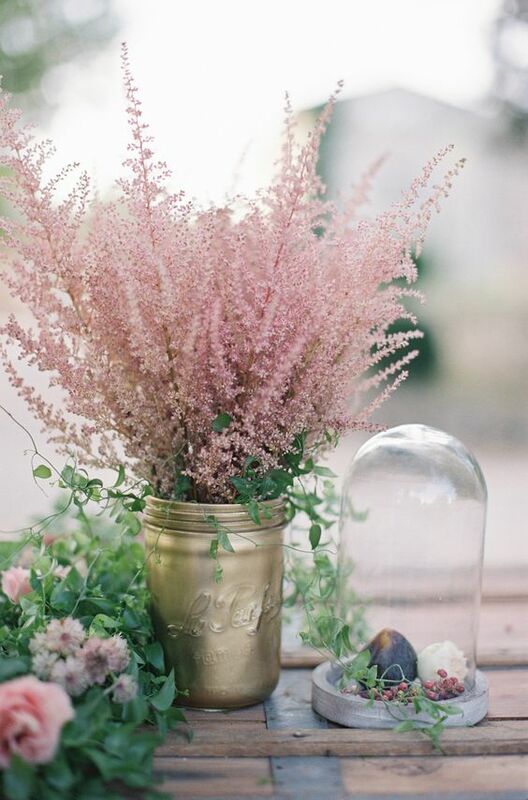 Neutrals and blush pink! So I make sure to always keep my sense of style into any room I decorate. Second, plan a budget! What are your must haves items? And list those first... and third, let's shop! 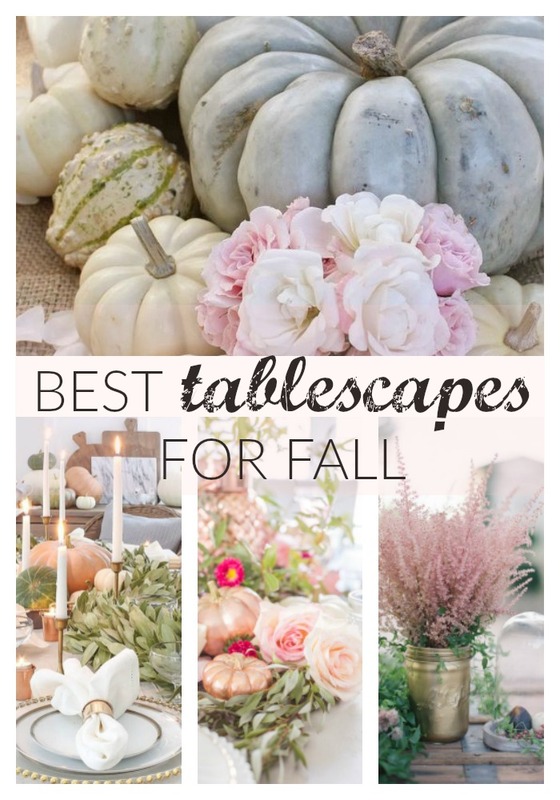 That's where all the fun begins... so here are 10 fall tablescape ideas to get your home decor inspo going this fall season. Another great way to save money is to DIY! 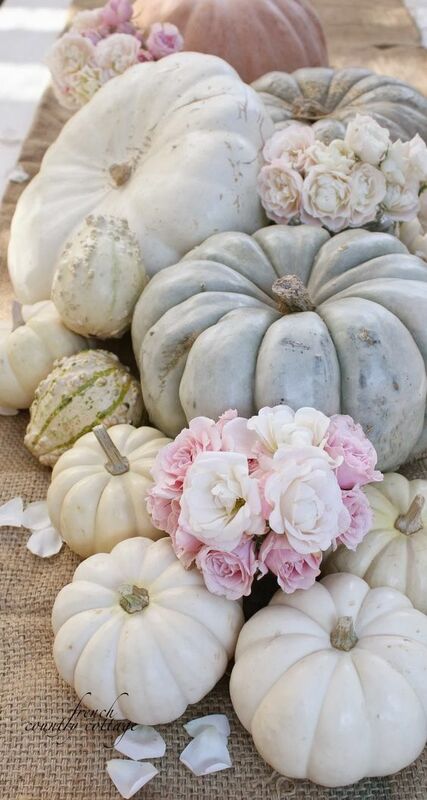 Spray painting pumpkins is a great way to save money on your table decor and also to give it your own touch. If you are on a tight budget, get creative! The dollar store always has great things that you can DIY. Remember, all it takes is the passion! So have fun and make sure your table screams your own style. 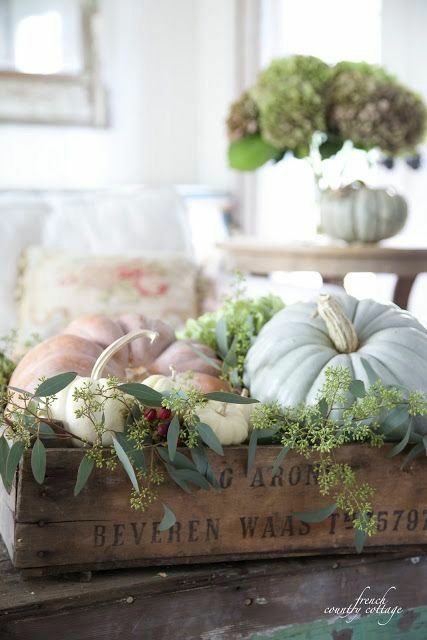 Stay tuned and make sure you are following me on Pinterest as I pin more fall home decor ideas this season!